Alternative Energy Southeast of Athens, Georgia, proudly seeks out philanthropic opportunities to benefit underserved communities with installed solar power. The contractor pledges 10% of its earnings toward charitable efforts and is involved with a local installation program called Solarize Athens. Now the company and its president Montana Busch have expanded their charitable nature far beyond Georgia and into Africa, after recently completing a solar project for a Nigerian orphanage. The group’s generosity led it to be chosen as the winner of The Solar Foundation’s 2016 Brian D. Robertson Solar Schools Memorial Fund (BDR Fund) Award. Shepherd Care Orphanage and Widow Center, established by the non-profit Walking in Love Ministries, serves the underprivileged area of Eku, Delta, in Nigeria. Thirty children live there and an adjacent school provides K-12 education to nearly 200 students. More than 100 local widows also receive assistance on site. Electricity from the country’s utility is unreliable and is often restricted for days at a time. The necessities to support so many local children and widows—refrigeration for food, power for a water pump, lighting at night—have been difficult to depend on in Eku. Busch first visited the small Southern Nigerian town in 2014 to assess the situation and see if solar backup power could be feasible. With the help of funds raised by New Covenant Worship Center of Athens, Georgia, Busch and Alternative Energy Southeast were finally able to provide a 16-kW solar system with 144 kWh of battery storage to the orphanage in January 2016. Installation was fairly straight forward, except for the ever-present Nigerian security guards with their rifles. “We had to have mercenaries follow us around with assault rifles for protection 24/7 because this is a poverty-stricken, very dangerous part of the world,” Busch said. Because of difficult documentation and Customs processes, Alternative Energy Southeast chose to work through a Nigerian solar installation company—Valentine Agency owned by Monday Aigbogun—to secure materials rather than ship in equipment. The project was such a success and so appreciated throughout the Eku community that Busch is looking to bring more solar to the town’s new hospital sometime in the future. 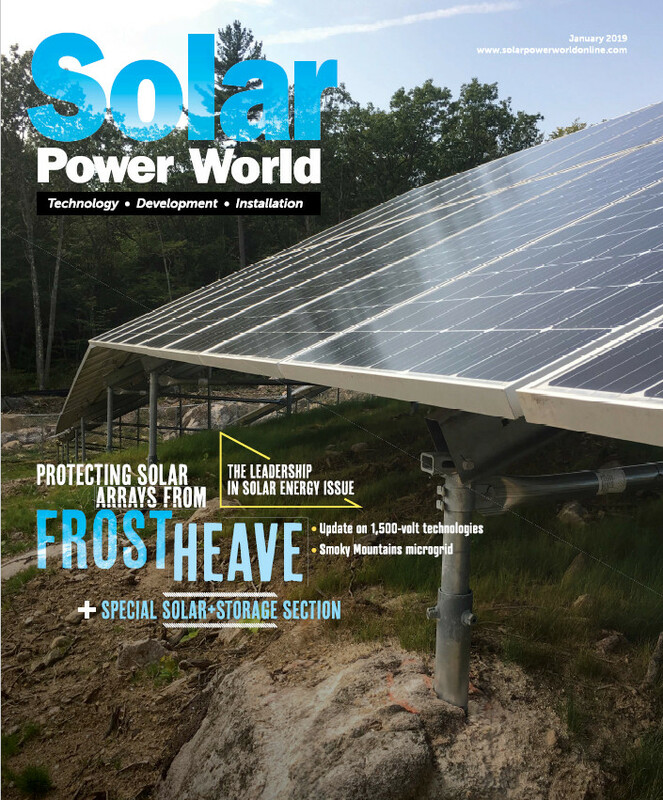 Alternative Energy Southeast will receive the BDR Fund Award and be recognized at the Solar Power World 2016 Top Solar Contractors gala this September.